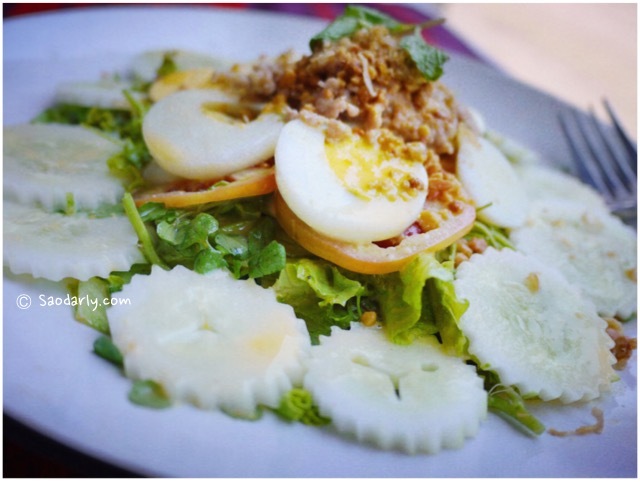 Luang Prabang Salad (Yum Salad Luang Prabang; ຍຳສະຫຼັດ ຫຼວງພະບາງ) for lunch in where else but Luang Prabang, Laos. This is a refreshing meal on a warm weather day for lunch or dinner. 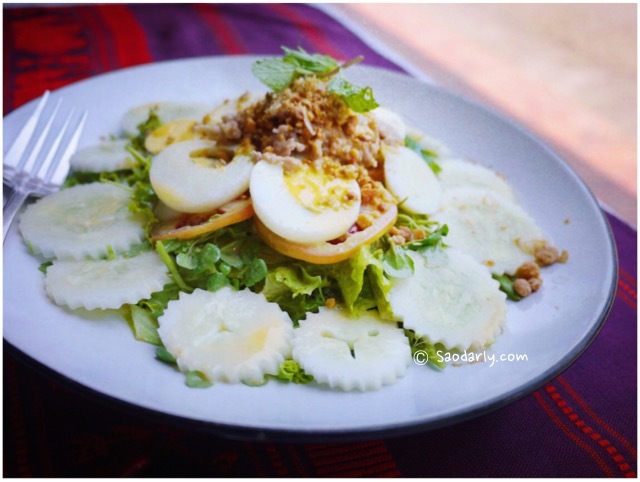 Luang Prabang Salad can be describe as a tossed salad using a mixture of crunchy lettuce, watercress, fresh herbs, cucumber, tomato, spring onion, coriander, mint leaves, and sliced hard boiled egg. 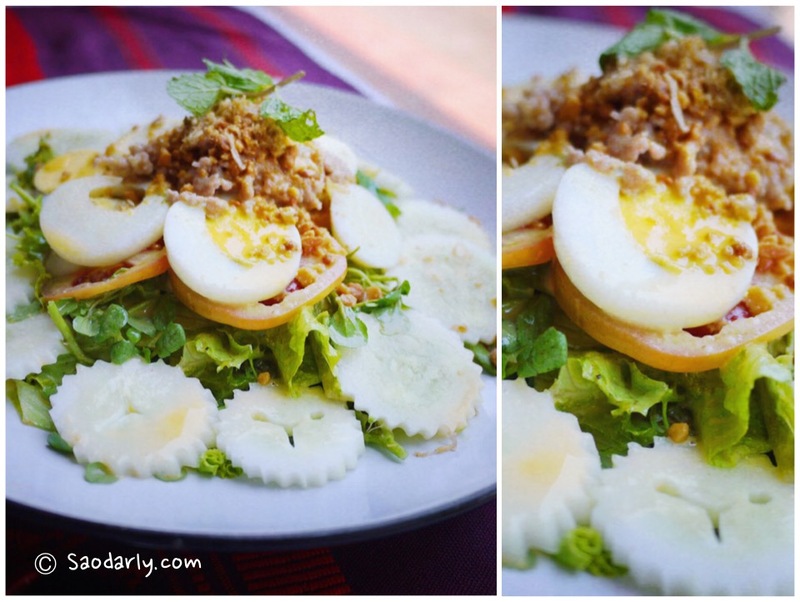 The sweet and sour dressing was quite refreshing with minced pork, crushed roasted peanuts, and crispy fried shallot on top.